I set myself three goals at that stage – firstly, I wanted to see Phillip leave Grey Junior School at the end of 2008 (tick! ); secondly, I wanted to attend the 25th reunion of the 1984 Grey matric class in May 2009 (tick!) and then, thirdly, I wanted to be at the valedictory service at Grey High in October 2009. Thursday, last week, was the valedictory service for the matrics of 2009 – the third of my goals and,yes, tick!. With it, came the big announcement of the 2010 prefects. We were proud when Sean’s name was read amongst the group of 21. So Thursday evening meant celebratory pizza’s, Sunday we braaied with the Clarkes (Graeme is Headboy and David, is a prefect too) and Stapletons, and Monday 26 October, saw us at the Induction Ceremony and tea at the school. And I now have to reset my goals – Sean’s valedictory service and lunch at Old Grey (and Barney’s!) in October 2010 and – dare I beat the medical odds and plan so far ahead? – Valedictory 2012/2013 for Phillip! “I set myself three goals, one of which was to see Sean finish his grade 11 year and enter his matric (Grade 12/Senior) year at High School. That was a year ago now, and I reached that goal quite comfortably. I then set a new goal of attending his Valedictory Service at the end of 2010. I have slowed down and it has been more difficult to get here. Well, another two years on and I have made it! This past Friday 12 October 2012, was the valedictory service for the matrics of 2012 and with it, came the “big” announcement of the 2013 prefects. I am still here – much slower than before, but Thank God, still here for Phillip! I am still able to manage. As the parents are not told in advance who the prefects will be, we were not present at the announcement. But, within seconds of the announcement, Sean had BBM’d me to give me the good news. When I contacted Pera, she had already been told by the Junior School Headmaster, Lindsay Pearson. We were proud that this time Phillip’s name was read out amongst the group of 20 odd. 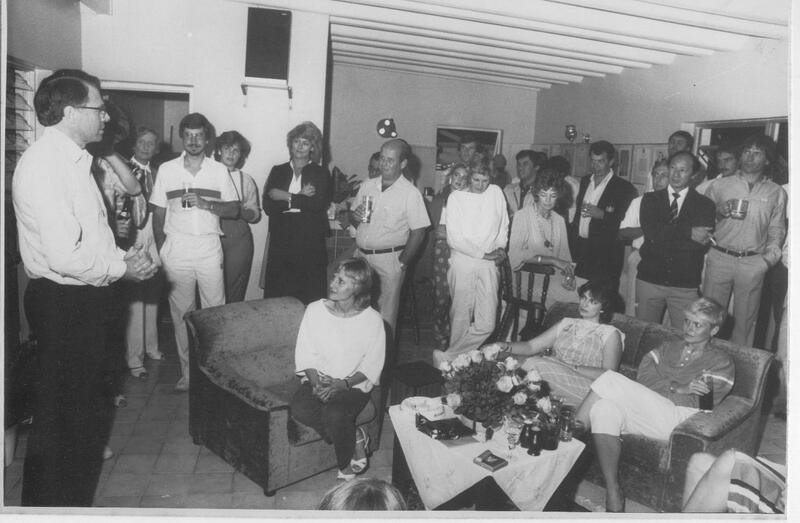 But with Phillip in the boarding house and Pera away at Kariega Game Reserve for the weekend celebrations of Sandy Rushmere’s 50th birthday, the celebratory dinner will have to take place next week. On Friday night, Sean and I did the “Barneys” thing! On Tuesday 16 October we will attend the Induction Ceremony and tea at the school. This time Lloyd Brown is the Headboy. Congratulations Lloyd. Just that name comes a long way! I have come many years with the Brown family. In my first year of teaching, Lloyd’s uncle, Lindsay, was in my mathematics class and in the 1984 matric class. The Seiko watch I wear today is a result of the generosity of Linday and that maths class! Through him, I became friends with (Uncle) Peter and (Aunty) Dr Lorna Brown (Lloyd’s grandparents), Wayne (Lloyd’s father) – then a first year accounting student at UPE – and his girlfriend Janet (Lloyd’s mother), and Duncan (Lloyd’s uncle) who was still at Grey and also one of my erstwhile maths students. We visited often in Villiers Road – it was a home from home! 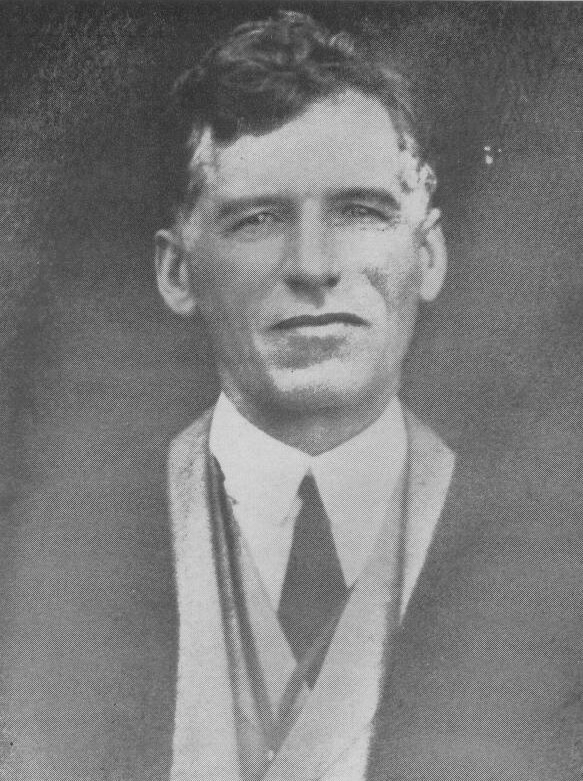 We (including Dickie Ogilvie and Neil “Tommo” Thomson) attended the opening of the Brown’s Long Room, the 21st parties at Arlington Racecourse and climbed through windows in Villiers Rd in the early hours of the morning when returning from the “beachfront parties” and waking the household – the house was seldom securely locked. We did the “land support thing” of the Texan Challenge from Port Elizabeth to East London, the Keurbooms River thing, the” Taurus Rising” video series thing and all the “things” and gadgets and foods that Peter bought for his Long Room – he had wireless TV long before any one else had dreamed that it was possible to have a TV set in every room of the house! In later years, my family and the Brown families have continued those friendships. Shortly after I became ill, I was kindly hosted by Lindsay and Elaine (and their two children Martin and Meggie) at their lovely home in Andoversford, Gloucestershire, near Cheltenham in England . Sadly, Uncle Peter – who I was also privileged to do the Rotary “thing” with – is no longer with us. Lloyd, I know, like us, your Gampsy is a proud granddad today! That is so true in life for any achievement – Headboy, prefect, captain, MD, headmaster, President, whatever. Let us never forget that! Good luck Lloyd, Phillip and all those who will be in leadership positions in 2013. Last Sunday, we celebrated Father’s Day by having lunch at Old Grey Club together with two hundred other people doing the same! The food was great, the atmosphere jovial , the music good and the weather played along, too. There was no TV to watch rugby, which is what we seem to have been doing for the last few weeks. 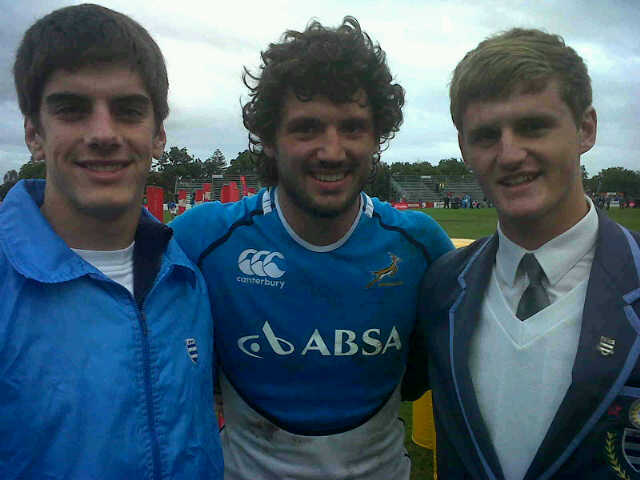 Two Saturdays ago the Boks beat England in Durban. 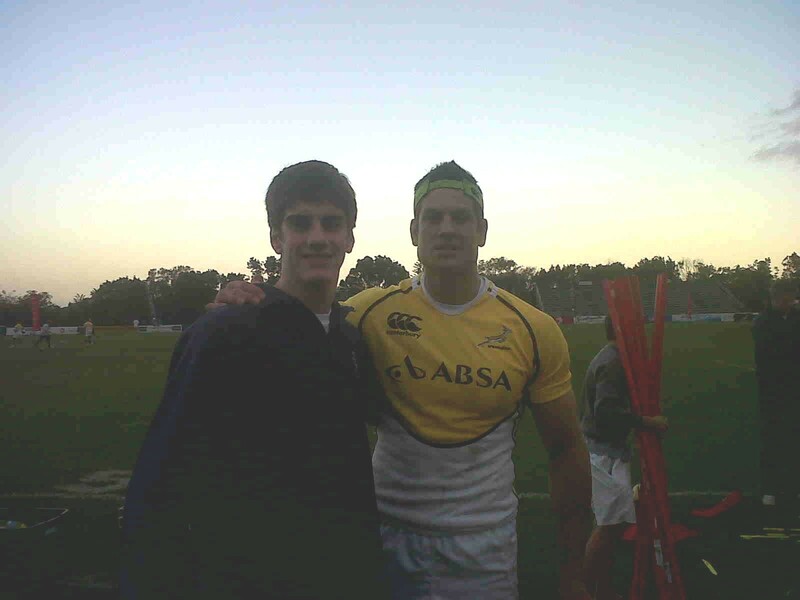 Last Saturday, we joined the Stapes’s and the Scholtz’s and watched the Boks on the box beat England in Johannesburg. 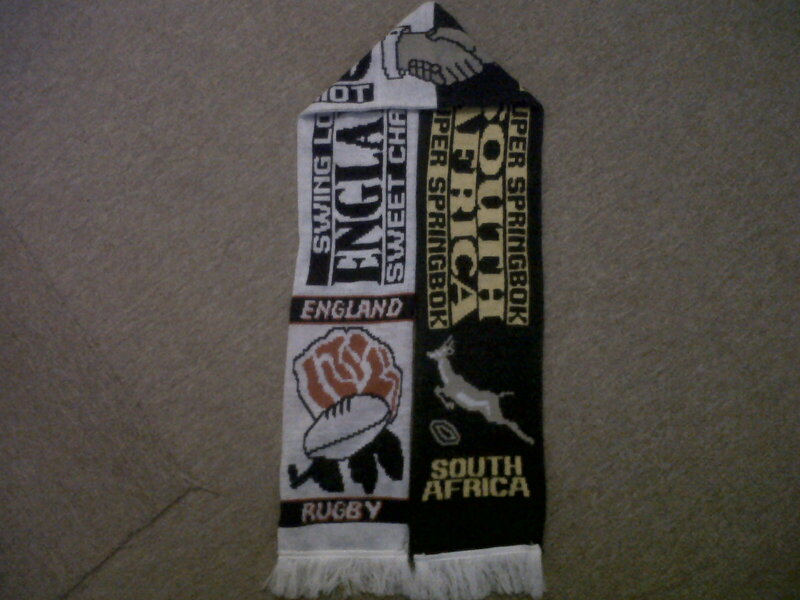 By doing so, the Boks also won the series of three matches against England. But now, it’s the third game in Port Elizabeth this coming Saturday. England is hoping to save face by winning this last test. We are hoping for a series white-wash! The Springboks are in town. Yesterday, five thousand people (including our whole family) watched the team practice at Grey High School. Today and tomorrow they practised again – this time behind strict security cordons keeping the public at bay. England is coming to town. This time not to colonize Africa, but to play rugby against the Springboks. The whole country appears to be in town or coming to town – to watch England and South Africa do battle against each other. The rugby gees is in town. It’s a scene reminiscent of the Football World Cup of 2010! And as everyone comes to town, we are planning to leave town. We will not be at the Stadium on Saturday, as we will be flying out to Johannesburg on Saturday morning (in a near empty aeroplane, I guess!). And, in order to get ready for our trip of a lifetime to Thailand, I have spent the last few days getting everything in order. The checklists and the checklist for the checklists get longer and longer. Now that the money’s in my hands, it’s all starting to look real. Krung Thep – City of Angels – here we come! And who cares if the rugby players get heated under the collars on Saturday. At 31 degrees and 80% humidity, we will surely be getting hot as well! And my money (Baht that is!) is on the Boks. Thursday is international MND/ALS day – check. Thursday: speak at Grey High: write speech – check! I have written before that Home is where the Heart is – about a number of places where I am privileged to have lived or visited. But now I have a broken heart. It is split and parts remain in those wonderful places. Stellenbosch is where I was born and educated. There is the greater Cape Town Metropole including the City of Cape Town itself and the Hottentots-Holland basin: The Strand, Somerset West and Gordons Bay where I was raised and spent my formative years. Then there is the United States of America, in general, and Oklahoma and Sulphur in particular. I lived and went to school there too. There is the Eastern Cape where I have lived for the past twenty-seven years. I have visited Londres no less than seven times. It is the city of my surname, my forefathers and my dreams: the New Jerusalem to which I look forward. But, if that destination is anything better than London, it can only be called Heaven! And from the noise and bustle and coloured tracks of the tube trains of London, there is the quietness and simplicity and dust tracks of The Karoo. With each of these places comes the so many people who are my friends and acquaintances. The simpler one’s life, the less one has to give up and the less one has to say goodbye to. And the more parts lead to the more partings and the more pain. It is hard to start saying goodbye to a hundred places, a thousand people and a million pipe-dreams. 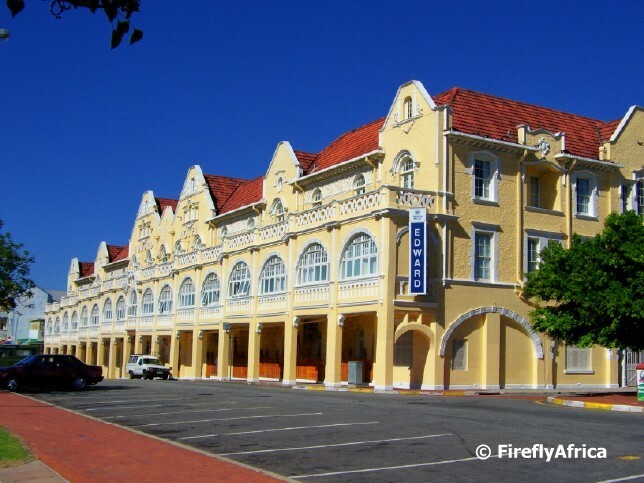 Last week came the news that Port Elizabeth’s stately King Edward Hotel on the Donkin Reserve (next door to the original Grey Institute Building), dating back to 1903, had closed its doors after 108 years. She has left many a tale, many stories, many recollections, many memories, and long will they continue. This weekend we have learned of the “End of the World”, the closure of the British tabloid newspaper, the News of the World, after 168 years. It will leave many a tale, many stories, many recollections, many memories, and long will they continue. One hundred years ago, at 12:13pm on 31 May 1911, the hull of the Titanic was launched in Belfast, Ireland. She “lived” for less than a year and, as we all know, sank on her maiden voyage from Southampton to New York on 15 April 1912. 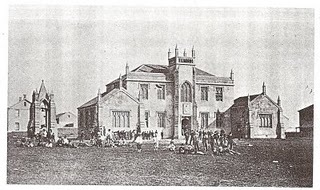 One hundred years ago, in 1911, a new Rector of Port Elizabeth’s The Grey Institute High School was installed. He was William Archer Way (b 1869) and would preside over the progress and development of the school during the next seventeen years of his reign, until he passed away in 1928. He has left many a tale, many stories, many recollections, many memories, and long will they continue. Upon his commencement as Rector, he identified two basic inadequacies in the school structure. The first was that of the 210 boys in the High School (then from Std 3 to matriculation), less than twelve were in the highest (matriculation) class. The second cardinal weakness, in Mr Way’s opinion, was the absence of boarders. He immediately acted and obtained temporary accommodation in the vicinity of the School on the Donkin Reserve for boys wishing to become boarders. The first house was Gowan Hill in Bird Street (directly opposite what was then the Collegiate Girls’ School). The second house, Rose Cottage, was added the following year, right next door to the Grey in Havelock Street (and opposite the King Edward Hotel) and a third house, Norwood, adjoining Gowan Hill, was added a few months later. 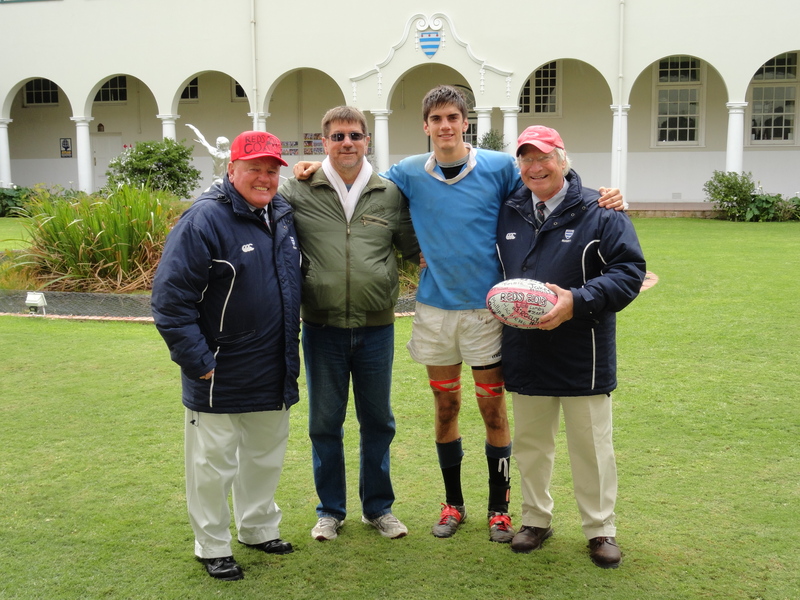 Eleven youths, who had been with Mr Way at Graaff-Reinet High School (he had previously been at Dale in King William’s Town and then Graaff-Reinet) soon joined him in Port Elizabeth and became the nucleus of the boarding establishment of The Grey. Those eleven lads from Graaff-Reinet (with recognisable surnames still today) were Bernard, Eric and Guy Hobson, Everitt and Petrus Enslin, George and Cecil Davenport, Wilfred Lee, Edward Wille, Gert Bekker, and one surnamed Dodds. So, today 100 years later, we wish Grey’s Boarding House, the nucleus of the School (and now known as Meriway – after Rectors Meredith and Way) a very Happy 100th Birthday! It has left many a tale, many stories, many recollections, many memories, and long will they continue with the many boarders who have resided there (including me as Boarding House Master (1984 – 1986) and Sean as boarder and prefect (2009 – 2010)). Interestingly, as Grey’s First Cricket Team returns from touring England tomorrow, it is also 100 years ago in 1911 that Rector Way (who also played in the First XI) invited the first English cricket professional, H. Myers (from the Yorkshire Country Eleven) to spend the summer in Port Elizabeth coaching the boys. During the first four years of his tenure (1911 – 1915) and as the First World War Clouds gathered, Rector Way would also oversee the planning, building and moving of the Grey (High School) from the Donkin Reserve to its present site and magnificent buildings on the Mill Park campus. For the next four years, therefore, there will be a number of 100-year milestones in the life of the school to commemorate and celebrate. Happy 235th Birthday United States of America from your proud Honorary Oklahoman and African American son! Thirty five years ago, in 1975 / 1976, I had just finished my schooling in the USA when she was celebrating her 200th birthday! Upon returning to South Africa in January 1976, I found something here that was not here before and had never been here before I left. A television set now graced our lounge at home! Every night, just before six, the family closed the curtains and waited for the orange, white and blue TV logo (to us it looked like a toilet seat) to appear on the 51cm colour PAL TV set. Then came the Bible reading and prayer, the kiddies’ programmes, the magazine programme, the sport show, the 8 o’clock news bulletin, the adventure programme and the serial. At 11pm, the orange, white and blue (old) South African flag fluttered in the breeze while the symphony orchestra played the (old) National Anthem, the Call of South Africa. Thereafter, the test pattern would grace the screen until six pm the following night, when the whole process would repeat itself. On Monday night, the programme would commence in English and remain in English until after the News at 8:30pm. 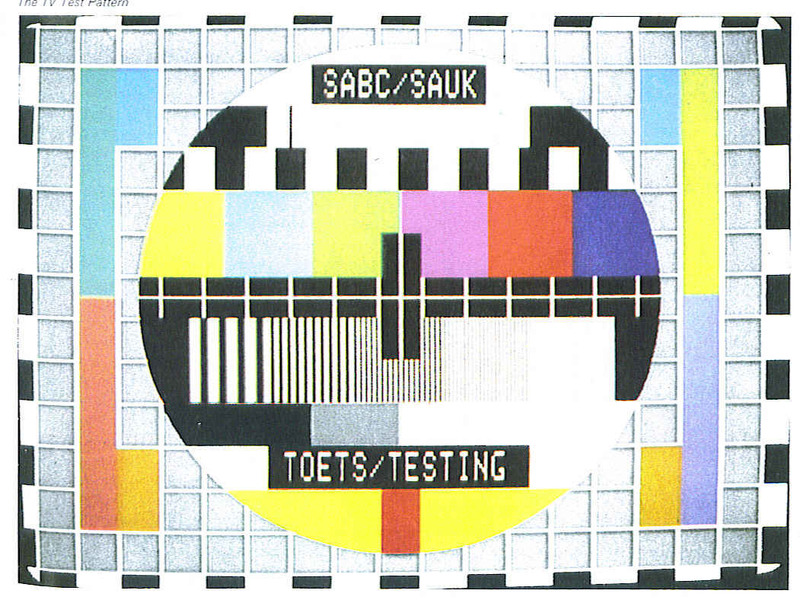 Then the language would swap over to Afrikaans until the test pattern appeared at 11:00pm. Tuesday night would start in Afrikaans and change over to English at 8:30pm. Strictly two and a half hours of each language every night. We were, after all, a bilingual nation of 3 million white people and, in those days, we chose to forget about the 30 million black Xhosas, Zulus, Ndebeles, Sotho’s , …! All that was about to start changing when Hector Pieterson and the children of SOWETO started the Soweto Riots on 16 June 1976 (which we commemorated two weeks ago on what we now call Youth Day) and which would alter the history of this country forever. TV programmes such as Haas Das, Wielie Walie, Dallas, Longstreet, The World at War, High Chapperal, Bonanza, The Avengers became household names in a nation that had never experienced television before. And on Saturday afternoons (and never on Sundays, because God said that mankind should rest on the Sabbath!) we watched strictly bilingual sport, too. There was tennis from Tarkastad, bowls from Benoni, darts from Durban, jukskei vanaf Johannesburg, brug vanaf Bloemfontein, cricket from Cape Town, chess from Carnarvon, netball vanaf Nelspruit and rugby van Reg oor die Land. Because of our apartheid policies, we were the skunks of the world and banned from international sport – participation therein and watching thereof! Banned from everything – all, except for whatever reason I can’t remember, the Wimbledon tennis championships. So, our annual dose of international sport became the All Wimbledon Lawn Tennis Championships held each year in June and July. Armed with champagne and strawberries and cream, we would curl up in our winter woollies watching, on Sunday afternoon, televised directly and live from that favourite city of mine, LONDRES, the men’s final match of the tournament. And then on Sunday 7 July 1985, I was in England with the sanctions-busting Grey Touring Cricket team, and we eagerly watched the final at Seaford College in Petworth, West Sussex. South African born (and just two-month then naturalised American citizen) Kevin Curren took on the 17-year old unseeded German Boris Becker in the final. Unfortunately for us, but fortunately for the Germans, he would become the youngest and first German and unseeded player to win at Wimbledon and it would be the first of Boris’s 3 Wimbledon championship titles. 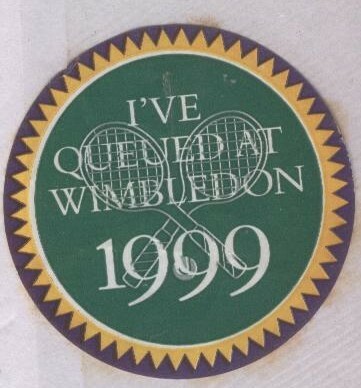 In 1999, Pera and I were in Wimbledon, staying with John (an ex-teaching colleague) and Sue Galloway at King’s College. John dropped us off at the tennis grounds, and we watched, with thousands of others, the final on the big screen attached to the outside of centre court from the Terraces which we had seen so often on TV! We rubbed shoulders with Ernie Els and ate our strawberries and cream and Magnums. And, after Pete Sampras had beaten Andre Agassi in the All-American final, exactly 12 years ago to the day on Sunday 4 July 1999 (6 – 3, 6 – 4, 7 – 5 ) , we walked back in the bright evening English sunshine to the Galloway’s house, across the Wimbledon Common and past the pubs, the Crooked Billet and the Hand in Hand, where we had spent the previous evening, sitting outside drinking our ales in the fading sunlight at 10pm! Now, with the advent of the New South Africa, we are back on the world stage. In a world moved on from restful God-forsaken Sundays and a one-channel SABC TV (Thank God!) to digital and satellite technology, tennis barely competes with the international rugby, cricket, athletics and football. 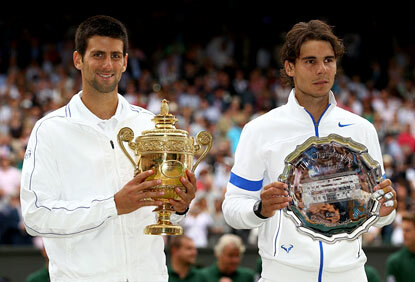 But, yesterday, in a cold and rainy Port Elizabeth, we watched, sans champagne, strawberries and cream, as Novak Djokovic beat Rafael Nadal 4 sets to 1 to become the newest Wimbledon champion. Ironically, the 2011 Grey Touring Cricket team was playing against an Old Grey side at King’s College in Wimbledon at the same time! And in a new South Africa, Wimbledon and Raynes Park in London have become the home to so many South Africans who have emigrated to the United Kingdom in search of that greener grass. But, the grand slam of life is like tennis: it’s not always strawberries and cream, and the grass isn’t always greener on the other side. People move from one side to the other in search of the perfect sweet spot. And It it’s not always love all. There are good serves and there are bad. There are many break points. And one often has to come from behind to beat the challenges. We win some and we lose some. We take the game but lose the set, or lose the game and win the set. Sometimes, we do get the break. As the world watches your every move, sometimes you are wide off the mark. Sometimes it’s a let; sometimes you are out and sometimes in; sometimes you make forced errors and sometimes unforced errors; sometimes you are in the net! You make good shots and you make poor shots. Sometimes it’s your advantage, sometimes it’s theirs. There are times, when the tension builds, that you need the “Quiet Please”! The bounce is not always to your advantage and when the rains come, you need to be inventive: adapt and build your roofs to avoid delays. You need a team effort. But we also have our faults. We may think “it’s just a lot of balls” and a “pain in the bum”! We let ourselves go. We don’t always know where the lines are; we grunt and we groan. In the rallies of Life, we have to make sacrifices to get to the top. To be a Champion, we also sometimes need to stop and smell the roses, and, like Djokovic, taste the grass. Yes, for all of us, there comes the call of the Great Umpire: “Time!” And this life is not a practice or the test pattern – it’s the real thing and the only one we will ever have! Friday 24 June 2011: 4 years 9 months on … Game ED! At the age of 12, Henley fell victim to tuberculosis of the bone. A few years later, the disease progressed to his foot, and physicians announced that the only way to save his life was to amputate directly below the knee. It was amputated when he was 17. Stoicism inspired him to write this poem. Despite his disability, he survived with one foot intact and led an active life until his death at the age of 53. The poem was written in 1875 in a book called Book of Verses, where it was number four in several poems called Life and Death (Echoes). At the beginning it bore no title. Early printings contained only the dedication To R. T. H. B.—a reference to Robert Thomas Hamilton Bruce (1846–1899), a successful Scottish flour merchant and baker who was also a literary patron. The title “Invictus” (Latin for “unconquered”) was put in the Oxford Book of Verse by Arthur Quiller-Couch. The poem has Influenced the arts ever since. In the 1942 film Casablanca, Captain Renault, a corrupt official played by Claude Rains recites the last two lines of the poem when talking to Rick Blaine, played by Humphrey Bogart, referring to his power in Casablanca. The irony in the reference is that the theme of the poem refers to self-mastery, when in fact all of Renault’s power in Casablanca is merely granted. In the 1945 film Kings Row, Parris Mitchell, a psychiatrist played by Robert Cummings, recites part of “Invictus” to his friend Drake McHugh, played by Ronald Reagan, before revealing to Drake that his legs were unnecessarily amputated by a cruel doctor. While incarcerated on Robben Island prison, Nelson Mandela recited the poem to other prisoners and was empowered by its message of self mastery. The poem was used in a voice-over by Lucas Scott in the television series, One Tree Hill. Canadian poet and singer-songwriter Leonard Cohen recited the poem as an introduction to his own song “The Darkness”, during a couple of shows on his 2010 world tour, most notably at his State Kremlin Palace show. In Napoleon Hill’s book, Think And Grow Rich, this poem is quoted and discussed. Hill added that, we are master and captain, “ . . . because we have the power to control our thoughts”. We are warned that this “power”, alluded to in Henley’s poem, “ . . . makes no attempt to discriminate between destructive thoughts and constructive thoughts”. Napoleon Hill explains that the conscious choice is laid upon the individual and suggests that the poet left others to, “. . . interpret the philosophical meaning of his lines”. The poem was important to Oklahoma City bomber Timothy McVeigh, who recited it on the day of his execution. Novelist Jeffrey Archer quoted the poem in the first volume of his A Prison Diary series ‘Hell’ which recounted his time inside HMP Belmarsh. 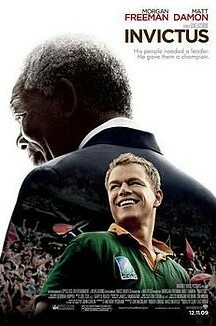 “Invictus” is also a 2009 biographical sports drama film directed by Clint Eastwood starring Morgan Freeman and Matt Damon. The 1995 Rugby World Cup Final was played between the Springboks and the New Zealand All Blacks at Ellis Park in Johannesburg exactly 16 years ago today on Saturday 24 June 1995. For three weeks, prior to this big day, we had lived through World Cup euphoria (something similar, although not quite as big, as last year’s Football World Cup). 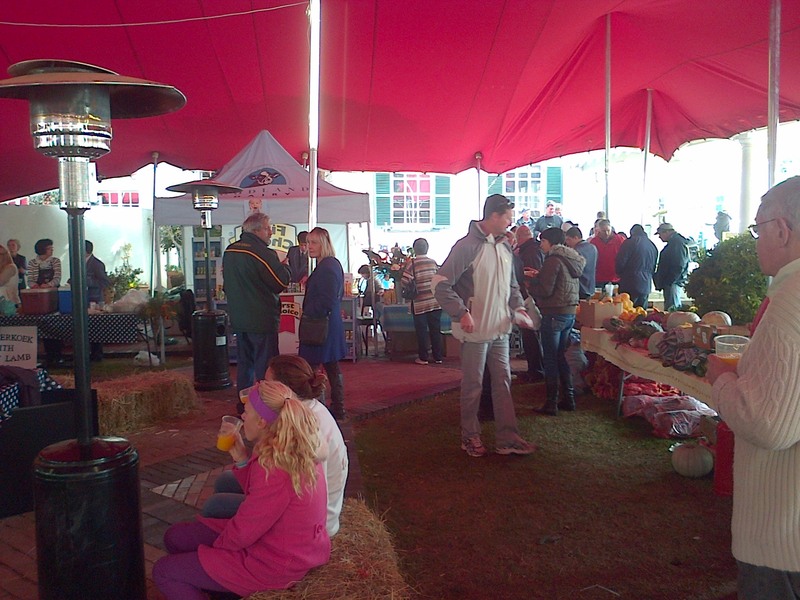 Together with friends and family, we had planned a day of festivities around the Final and which would culminate in that South African tradition of all traditions, the all-important braai! Well, we never got to participate in the events planned for the day. Pera was six months pregnant and due at the end of September 1995. (We previously lost a second son who had been still-born in November 1994.) Early on the morning of the Final, I woke up to hear her screaming in the kitchen. The baby (at 26 weeks) was threatening to come out and I rushed her to St George’sHospital, where we spent the rest of that day. The doctors managed to prevent the birth, Pera remained in hospital and late that evening I drove up Cape Road on my way home. It was a tremendous boost for our fragile new democracy born in 1994 and barely one year old! But talking about births … for the next two weeks, the baby threatened to be born. 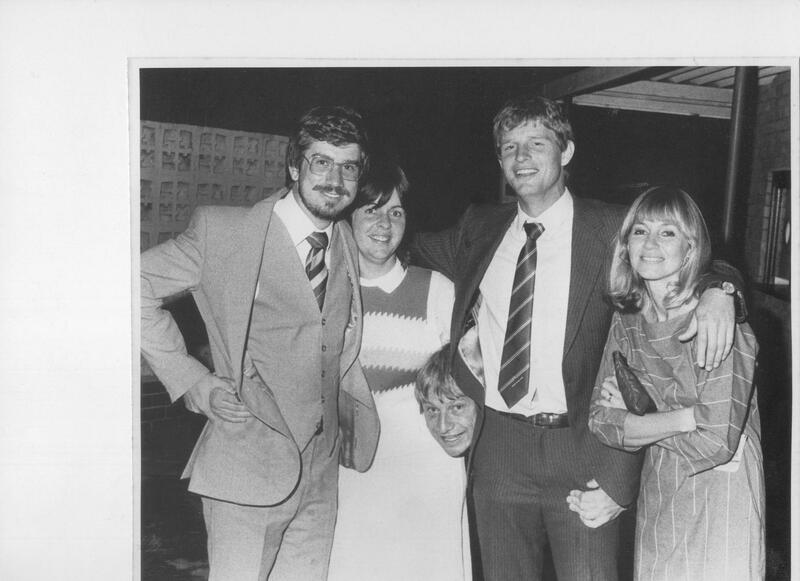 On the night of 6 July, with Pera’s gynaecologist, Dr Caras Ferreira, out of town, Dr Ivan Berkowitz was hurriedly called from a formal dinner to St George’s Hospital when, once again, it was touch and go. He arrived at midnight in his tuxedo and bow-tie. (I knew Ivan and Harriet well, and we have remained friends to this day. Ten years prior to this, in June/July 1985, the Grey First Eleven went on the first Grey overseas cricket tour to England and Holland. 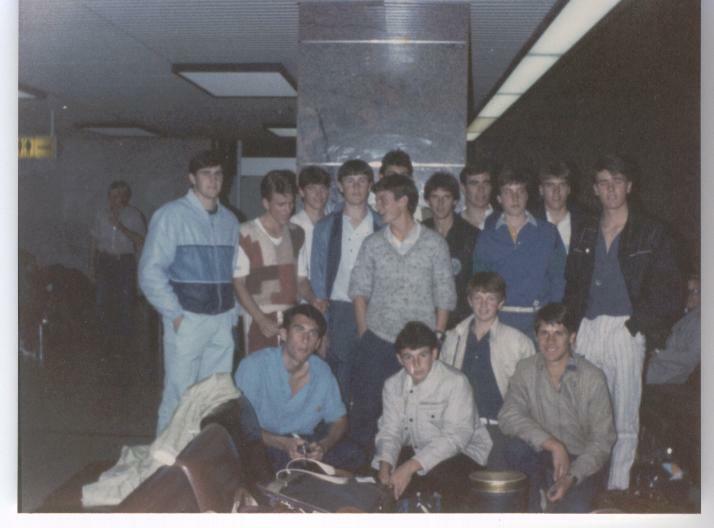 Darryl Berkowitz was Headboy of Grey in that year and a member of the touring team that I accompanied, together with Rod McCleland, Keith Crankshaw, Dickie Ogilvie, Neil Thomson and Charles Pautz. We sold tickets for that dreaded VW Golf and raised funds together with the Berks (and all the other parents) and also had our return party at their home in Conyngham Street. Anyway, Ivan explained that Pera would have to remain in hospital for the rest of her pregnancy, and that if he did not deliver the baby soon, we would lose either Pera or the baby. And, so it was, on the next morning, Friday 7 July 1995, sixteen years ago, that our second son (and we had previously been told by the gynaecologist to expect a girl) was born by caesarean section at twenty seven weeks and weighing 1,3 kg. Our previous son was due to be called Phillip, so this baby was named Phillip John. He spent the next two months in the incubator at the hospital, and cost the medical aid about double the price of our very first house that I had bought! Phillip John Lunnon (our Dr Phil!) celebrates his sixteenth birthday in two week’s time. Now, at six feet and three inches, he is the tallest in the family, beating me at six feet and Sean at six feet and two inches! He is our fighter – our very own Invictus. There have been times that I did not think that I would make it to his sixteenth birthday but I, too, am a fighter. Tuesday 24 May: 4 years 8 months on … DEUCE! I started blogging in October 2009. It was a way of communicating my activities and my state of health to my friends and family. The word “blog” comes from the contraction of the two words “web” and “log”. A blog is simply a “web log” of one’s activities – a sort of electronic diary available for all to read. So my writing of blogs had two goals: one was to be a diary of my last days on this earth; the other to raise awareness about my illness, corticalbasal degeneration (CBD), a form of motor neurone disease and a virtually unknown syndrome when I became ill now four years and eight months ago. In the beginning, the blogs flowed fast and furiously. My brain’s ability to work with figures was replaced with a new-found ability to write prose. I have written some 160 blogs to date, and they have been read online by more than 22 000 “hits”. In the last month or so, the writing has not been so easy or so regular. My ability to type has been severely restricted, and I have been making use of voice recognition software to assist me. However, I now find that my cognitive abilities are also declining, and it is not always easy to put into writing what is going round in my head! My ability to get around and to do the so many things that I have written about in the past has also become more restricted. So, the last few weeks have become even more challenging. However, it is even more important now to stay busy and to keep my mind occupied as much as possible. That’s easier said than done: my hands are affected and so manual work is difficult; my short-term memory and concentration is affected and so reading and movies are problematic; my ability to multi-task and order is affected, so organising things are not easy. (The Gilbert and Sullivan production of OKLAHOMA last week tested my skills in that regard and I think I have now met my match!) Even my ability to sit has become a problem – the spasms that I get down my left side become more pronounced when I sit for a while. It has however allowed me more time just to relax and to watch TV – normally CNN or Sky News. It has opened a whole new world for me – and what a world and global village we live in! I have written before about living in moving times! Over the last period of time, I have witnessed the earthquakes in New Zealand and Japan and the tsunami in Japan. I know no-one in Japan but I have a sister in New Zealand. Then there have been the floods, the droughts, the fires and the tornadoes. Just yesterday, we saw the death and devastation in Joplin, Missouri, USA caused by a tornado that is reported to have killed more people than any other before it. Our family was in Joplin in 2001 when we visited the USA, and my American “family” live close by in Cassville and at Table Rock Lake, Missouri. There has been the Arab Spring – the uprisings in the north of on our own continent. First, there was Tunisia, then Egypt, now Libya and Syria and all the other smaller Middle Eastern countries. There is the whole Israeli / Palestinian challenge that has raised its head once again – and, as I write, the Israeli Prime Minister is addressing the American Congress, in a room that I have visited in the House in Washington DC. There were the northern hemisphere winter snowstorms and the Ash Cloud this time last year from the Icelandic volcano Eyjafjallajokull that disrupted life around the globe. Just one year later, we have that volcanic ash cloud problem all over again – almost de je vu. The upheavals of the world remind me of the challenges that we face in our personal lives. They come at regular intervals to us all, and they provide the rungs that raise us higher and the stepping stones that make us stronger. But, as in our personal lives, we also experience the pleasant things in our world. Recently, we spent much time watching the Royal Wedding. I was in London in June 1981, just before Charles married Diana. The hype then, as now, was unbelievable. I enjoyed tracing the Queen’s steps through Dublin as she visited many of the places that I had the privilege of visiting last year: the Garden of Remembrance, Croke Park, Dublin Castle, the Liffey River, and, of course, the home of “The Black Stuff”, the Guiness Brewhouse! Her steps in the summer were, of course, very different to mine in the heavy snowfalls of last December. And, I have enjoyed watching the President of the United States, Barack Obama, visiting Ireland (and tasting the Black Stuff) and London. And, indeed, even as he can trace his roots to Ireland, I can trace my roots to Ireland (on my maternal grandmother’s side) and to Wookey Hole, Somerset, England (on my paternal grandfather’s side). When our family visited Buckingham Palace in 2001, Sean (then 9 years old and clinging to those famous railings that surround the Palace) asked why SHE needed such a large house. Well, tonight as the Queen entertains 171 guests to dinner (with 2000 knives and 5 wine glasses per person!) I can now see why SHE needs it! Ten years later, our pleasant things: we celebrated Sean’s nineteenth birthday last week; we saw, on Tuesday, the production Oklahoma (where I went to school in 1975) and yesterday, I made an amazing discovery. The ongoing spasms that I have been getting, especially when seated, appear to come from the fact that the gluts in my left buttock have atrophied. When I sit, I am either affecting the circulation or a nerve. And, if there is no weight on my left bum, then there are no spasms! How best to sort this out will be the challenge of the next week … the story continues. Yesterday, I spent most of the day with the electricians. A while back, our house must have been struck by lightning and since then we have had ongoing problems with the electrics. The house has been something like my body – the circuitry has just not been working properly leading to all kinds of strange effects! First the plugs in the kitchen weren’t working and that was sorted out. Then the washing machine kept tripping the earth leakage. And then, the other morning, I showered in the boys’ shower and discovered that when I touched the taps I was feeling a light electrical shock in my fingers! So the electrician was called back again (I think they thought I was really mentally ill because they could not feel it and their gadgets did not register any current!) Anyway, they replaced the element in the geyser and did some earthing work in the roof. The tingling feeling disappeared. But, lo and behold, when I showered the next morning, it was there again! So back they came yesterday and spent the day with their gadgets, meters, wires and electrical brains. By the time they left late yesterday afternoon – problem solved! – I was quite tired just from providing my input in what the problem could possibly be. So I had a lie down from 5pm to 7pm – then had supper, and then slept from 21h30 through to ten this morning! I don’t think I have ever slept so much and yet, the tiredness doesn’t appear to go away. It appears that my body needs more and more rest and I need more and more sleep. I was woken up by the electrician to find out if everything was in order. Well, I was still in bed and hadn’t even showered yet! So I got up with difficulty and headed off to the shower – this time, no tingling! But after a while I also realised that there was no hot water! After all the work they had forgotten to switch on the geyser! But, thank goodness, today it was HOT! It was really HOT! In fact, at 14h00 the thermometer in my car said it was 38 degrees C outside. So I decided to go to the beach for a walk (Dr Doidge firmly believes that brisk walking rejuvenates brain cells, and walking had certainly been good for me in Ireland and England). So walking has been added to my list of activities. Yesterday morning I walked the golf course. Today it was the beach. What a beautiful day: not a breath of wind and this incredible heat. I started at Hobie Pier and walked to Pollock Beach and back. Then had a swim – the water was quite cold but refreshing! It was great getting out of the house and the exercise did me good – both physically and mentally. So much so, that when I got home I had another swim in the pool and then headed off to the gym for a thirty minute cycle and a ten minute run on the treadmill. I really need to do this more often. I know it will go a long way in keeping the happy hormones going and making me more positive. Tonight, we are experiencing yet another electrical storm. Please lightning don’t strike the house again because I’m still fighting with the Bank about the last claim! I don’t choose for the lightning to strike our house but somehow they (being that unfriendly lady in their call centre who only answers after 15 minutes and many computer-generated questions later!) think I do, and now they call me a storm risk and want me to pay exorbitant excesses on my claim. Anyway, I thought that’s the meaning of the word insurance and the reason why one takes it out – for when the storms of life hit you. It’s sometimes more difficult dealing with the Bank (their invisible call centre wherever it may be with unfriendly people who don’t talk English!) than it is dealing with my CBD! They really have strange Standards! I wonder if I can deduct the cost of my phone calls from the bank charges they charge me? The last two weeks have seen considerable movement health-wise to the positive side. I seem to have found the right balance with the medication – at least for now! But talking about moving things – there has been a string of occurrences worldwide over the last few months that need mention. The world seems to have gone mad! We have witnessed snow storms all over the Northern Hemisphere that brought movement to a halt on numerous occasions. I was lucky to get out of Dublin just at the right time early in December – thousands others were not so fortunate. Large fires have moved through areas of California and Australia destroying homes and hectares of land and vegetation. Popular movement in the political world has seen life-long leaders, despots and dictators moved out from their positions of power, abuse and absolute authority. First there was Tunisia, then Egypt, then Libya and a number of other North African and Arab states. This movement continues daily and one can only wonder when it will spread to Zimbabwe and where it will stop. Of course, all this political movement in the oil-rich lands of the world has led to an incredible upward movement in the price of petrol with warnings that we could see prices double if this political turmoil is not contained soon. And this political turmoil leads to the millions of African refugees moving into our country that has great difficulty in sustaining itself and our own population! And, as we see a continuing downward movement in our own security, education, health services and infrastructure, we also see so many of our countrymen, friends and family continue moving to other parts of the world. Therefore, when we witness the wrath of the earth itself, shaking and moving in the form of earthquakes especially in Christchurch, New Zealand this past week, it strikes home because it involves and touches those nearest and dearest to us. Luckily, my sister, sister-in-law and cousins were not directly affected, but Sean’s school mate Curtly Diesel who left for Christchurch just weeks ago to stooge there, was having lunch but three blocks away from the devastated city centre and the Christchurch Cathedral that we saw so often on TV news here! Luckily, physically, he was not hurt. Mentally, it takes a while to recover from the violent movement of what we consider our solid foundations. Movement in the fields of medical science was the topic of a talk by Dr Norman Doidge that I attended last week. He researches the brain and has written a book about neuroplasticity – the ability of the brain and its cells to adapt, recover and renew. There were so many things that I could relate to that are so particular to my illness and my experiences – my left hand that worked so well whilst my rand arm was in a sling after I fell and broke my elbow; my left paralysed fingers that will automatically “kick in” when I play the piano; the walking in London and Dublin that rejuvenated me! I have included links to his website on my web page www.edlunnon.co.za. Belinda was severely injured in a car accident 15 years ago and, despite the odds against her, has made the most amazing strides on her continuing road to recovery. She has written a book BELINDA that details her journey of the last fifteen years. What courage! What determination! What resolve! That gathering was possibly the most moving experience of recent times. There are so many of her feelings and situation as a handicapped person that I am starting to understand. I certainly have come to realise that we and our children are not exposed or properly educated on interacting with disabled people. It takes situations such as Belinda’s to bring home the reality to me (and to many people) just how fortunate one is. As you look around you, there are always people in so much greater distress and need than yourself. It came as a wake-up call to me to realize just how fortunate I am! Belinda’s youth and life were taken away in the prime of her years – I have been so fortunate to have lived (and still do to a large extent) a very full and rewarding life. Such as Sunday that saw us back at the Sundays River for the swimming of the Redhouse River Mile. The organisers have moved the Redhouse River Mile to Sundays River. 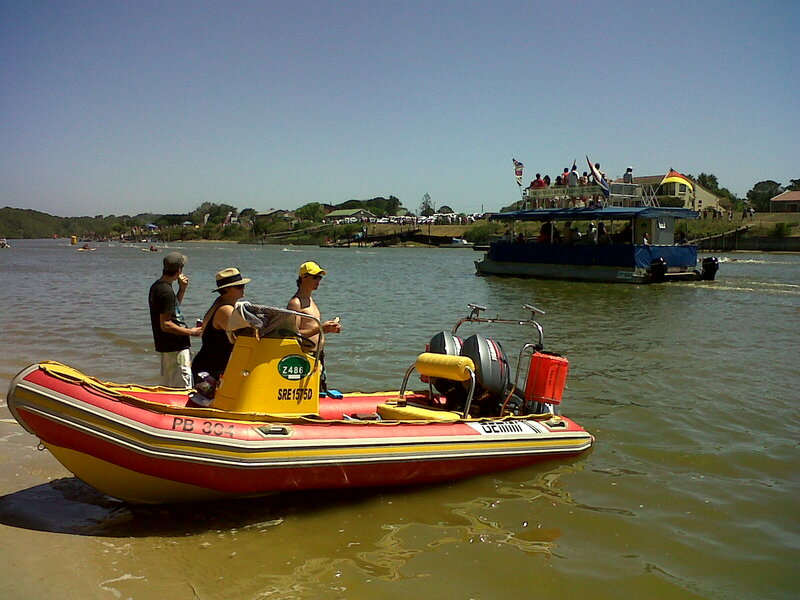 We used to have a sort of annual gathering braai at the Colliers at Redhouse on the day of the Mile, but that has all changed now that they have moved the swim to the Sundays River – supposedly because of the high bacterial levels in the Swartkops River. And this weekend, the family moved in different directions – Pera was asked to speak to a mothers’ conference about MOTHERING. 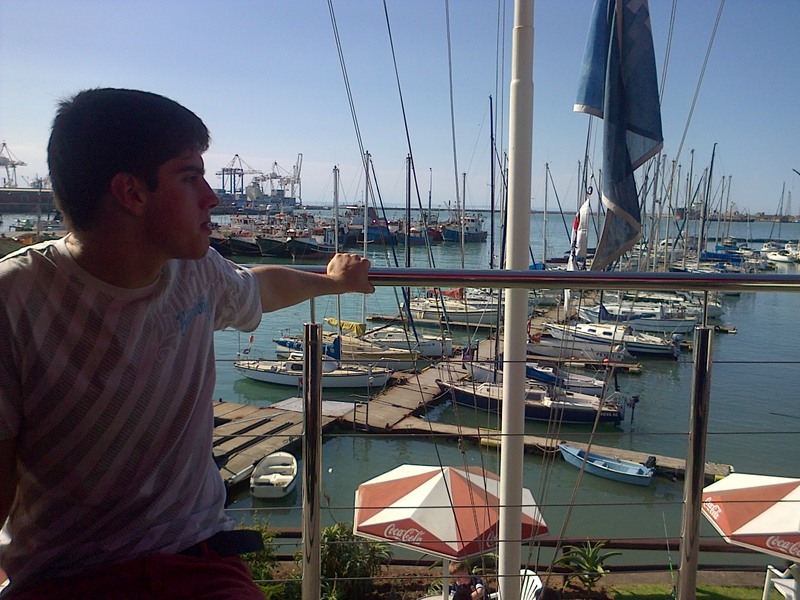 So off she went to some or other game farm for the weekend; Sean has joined the NSRI so he had to do weekend duties at the PE Harbour; Phillip was going to friends. 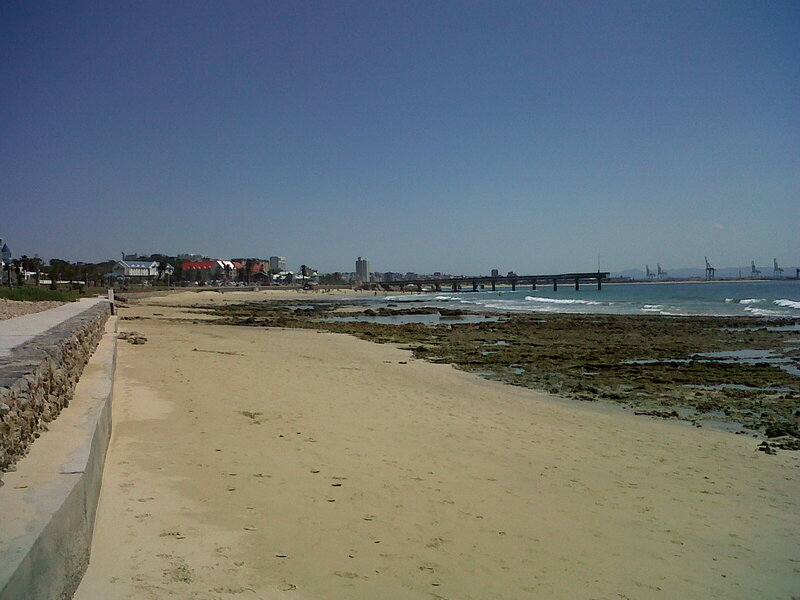 Well, that left me … so I decided to move off to St Francis Bay. It’s always good for the soul just to relax at the river, meet up with friends and acquaintances like Len, Barry, Charles and Julie, Pat and Louis … and visit the Porthole, Legends and the Trat! The pizzas are still very good!